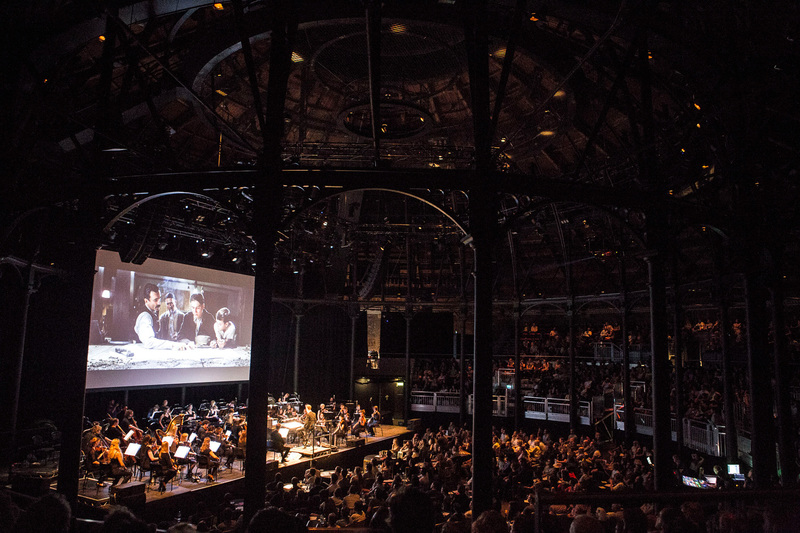 In 2014 Hugh Brunt conducted the world premiere live screening of Paul Thomas Anderson‘s Academy Award-winning film at the Roundhouse, accompanied by a 52-strong London Contemporary Orchestra with composer Jonny Greenwood performing the ondes Martenot part. The score features passages from Greenwood’s compositions Popcorn Superhet Receiver and Bodysong (the latter used in the track Convergence), as well as works by Arvo Pärt and Brahms. All these cues have been collated into one ‘performance edition’, offering a complete representation of the original film, shown in a striking new light. LCO has been performing Jonny Greenwood’s compositions since 2008, has toured with him across Europe premiering new material written by Greenwood for the ensemble, and recorded his scores for The Master, Phantom Thread and You Were Never Really Here. Most recently, Hugh Brunt has conducted the New York Philharmonic and Melbourne Symphony Orchestra in sold-out performances of There Will Be Blood. By arrangement with Paramount, Miramax and Park Circus Films.